The following publications have been produced, edited and/or include contributions by David Pestorius. The list is not comprehensive, especially as it relates to the late 1970s and early 1980s. 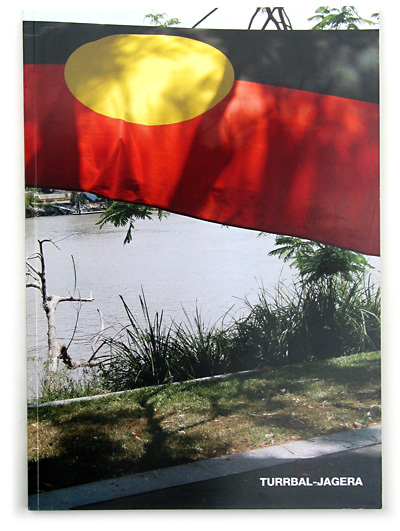 With design concept by Heimo Zobernig, this book documents the ongoing (since 2006) collaboration between Los Angeles artist Dave Hullfish Bailey and Brisbane Indigenous community leader and writer Sam Watson. It includes essays by editor Rex Butler, CityCat Project curator David Pestorius, and University of Queensland art historians Michele Helmrich and Sally Butler. 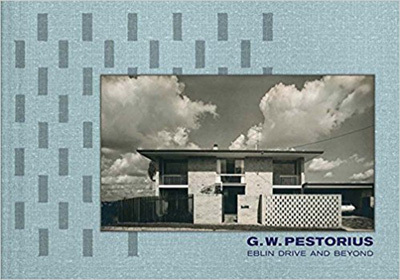 The first monograph on Brisbane architect Geoffrey Pestorius (1930 – 1968). Edited by David Pestorius and Leni Hoffmann, who also designed the book, it focuses on Pestorius’ spatial tour de force, the Sweeney house (1966) in the inner-Brisbane suburb of Hamilton, although several other projects are also featured. The book includes essays by David Pestorius, Jonathan Kopinski and Andrew Wilson, as well as documentation of the exhibition 50: Drewe & Pestorius’ Sweeney House in the stairhall/ gallery space of the house in 2016. 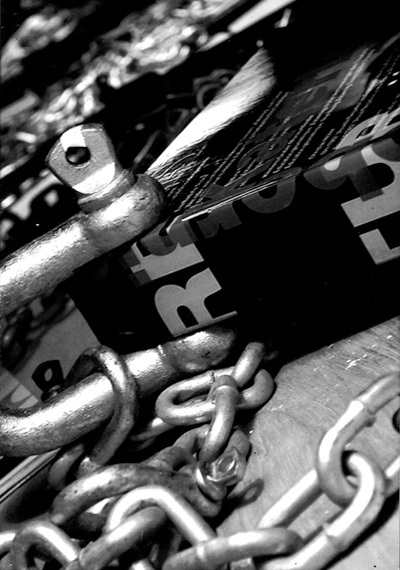 The book also features a genealogy that sheds light on the architect’s Germany ancestry, as well as a comprehensive listing and bibliographic entries relating to exhibitions and events held at the Sweeney House since 1999, when it became a house for exhibiting contemporary art from Brisbane, from Australia and from around the world. This essay was commissioned by Hans-Jürgen Hafner, the director of the Kunstverein für die Rheinland und Westfalen, Düsseldorf. Published in German translation, the original English form of the text has not yet been published. Pneumatic Drill, artist's book, edited by John Nixon, offset cover + photocopied, 60 pages, produced in connection with The Brisbane Sound project. The Brisbane Sound, family tree, designed by Liam Gillick, offset A2, produced in connection with The Brisbane Sound project, inquire for availability. 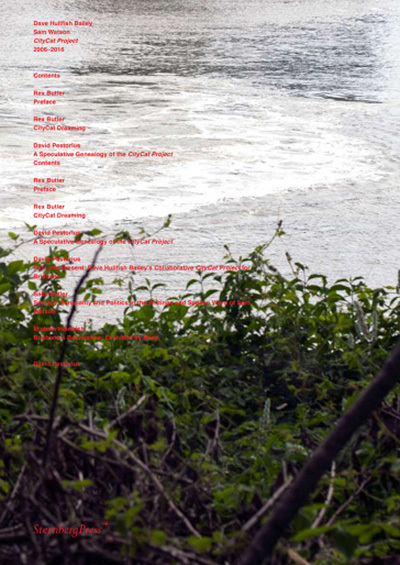 Pacemaker, issue 8, Paris, with essay on Heimo Zobernig by David Pestorius, (June). Heimo Zobernig, Kunstverein Braunschweig, catalogue, with essays by David Pestorius and Vitas H. Weh, (November). On Reason & Emotion, Biennale of Sydney 2004, catalogue, with essay on Heimo Zobernig by David Pestorius, (June). Ed Kuepper’s MFLL, Institute of Modern Art, Brisbane, program notes, including brief text by David Pestorius, (August). Local Art, issue #17, Brisbane, book review (‘Pig Ciy’), (December). Minimalism and After II, DaimlerChrysler Contemporary, Berlin, catalogue, edited by Renate Wiehager, with text on Ian Burn by David Pestorius, (February). Ed Kuepper + Len Lye, ACMI, Melbourne, A4 program notes, with brief texts by Ed Kuepper and David Pestorius, (March). 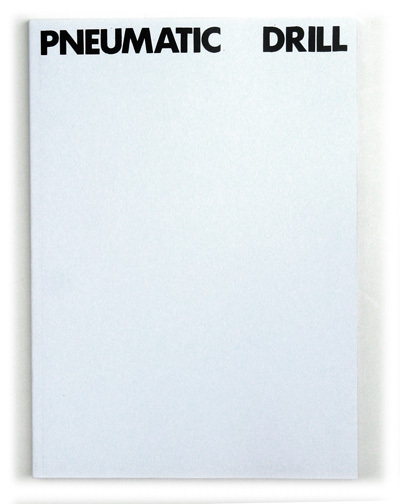 Parallel Structures, Gertrude Contemporary Art Spaces, Melbourne, A5 folder, offset, colour, designed by Liam Gillick, with text by David Pestorius, (April). Paul Bai: Painting, Institute of Modern Art, Brisbane, A5 folder, offset, colour, with text by David Pestorius, (May). A.D.S. Donaldson + Andreas Exner, ex. cat., A5, digital colour, 16 pages, co-edited by Konstantin Adamopoulos and David Pestorius, Kann-Verlag, Frankfurt am Main (September). Parallel Structures, SouthBank Corporation, Brisbane, A3 exhibition poster, offset, colour, designed by Liam Gillick, (October). Spin Me Round, Metro Arts, Brisbane, 24 x 16.5cm, 40 pages, offset, colour cover, b&w, written and edited by David Pestorius, (May). Piero Manzoni + John Nixon, Herning Kunstmuseum (DK), A5 colour catalogue, 20 pages, with essays by Ben Curnow and David Pestorius, (September). Monochromes, poster, A2, offset colour, 2 sided, designed by Gail Hastings, with essay by David Pestorius, University Art Museum, Brisbane, (December). Joseph Marioni, University Art Museum, The University of Queensland, Brisbane, colour catalogue, 44 pages, with essays by David Pestorius and Rex Butler, (December). Gerold Miller, Kehrer Verlag, Heidelberg, colour catalogue, 48 pages with essay by David Pestorius. John Nixon: Music 1979–1999, Kunstlerhaus Bethanien, Berlin, A5 b&w catalogue, offset cover, 20 pages, edited by David Pestorius, with essay and John Nixon interview by David Pestorius, edition of 120, (March). There: Contemporary Art Magazine, Berlin, edited by Gail Hastings, 20 pages, various contributors, including David Pestorius on Ian Anüll and The Go-Betweens’ Lost Album, edition of 20, (April). Axe Magazine (Robert Forster issue), Sydney/Melbourne, edited by John Nixon/Marco Fusinato, with Robert Forster interview by David Pestorius (2.3MB .pdf), (May). Gail Hastings: To make a work of ordered art, Statements, Art 28’97, Basel, A5 b&w catalogue, with brief text by David Pestorius, (June). Leni Hoffmann: Ubik, catalogue, Cantz Verlag, 272 pages, colour, including contributions from Konrad Bitterli, Köstring/Maier, Hans Ulrich Obrist, David Pestorius, Kathrin Schröter, Trevor Smith, Hills Snyder, Thomas Wagner, Renate Wiehager, (July). Geometric Painting in Australia 1941—1997, University Art Museum, The University of Queensland, Brisbane, 24.5 x 17cm, 80 pages, colour catalogue, edited by David Pestorius, with essays by David Pestorius, Rex Butler, Chris McAuliffe, Carolyn Barnes, (August). Rose Nolan: Banners + Construction, David Pestorius Gallery, Brisbane, A5 b&w catalogue (photocopied), with Rose Nolan interview by Sandra Bridie, (September). Farbe: Malerei der 90er Jahre, Kunstmuseum Bonn, 128 page colour catalogue, with essay on Leni Hoffmann by David Pestorius, (December). Gail Hastings: Five Sculptures, David Pestorius Gallery, Brisbane, A5 colour catalogue, offset, 32 pages, with essay by David Pestorius, edition of 250, (May). Robert Forster/DNE/Anti-Music, Institute of Modern Art, Brisbane, A5 folder, with essay by David Pestorius and Pneumatic Drill insert, (January). Eyeline, No.19, Brisbane, Scott Redford, review. Scott Redford: Painting is Constructed, Umbrella Studio, Townsville, A5 folder, with essay by David Pestorius, (September). Roadrunner, Adelaide: Birthday Party / Xero / Birds of Tin, live review; Flaming Hands, article, (February). Inner City Sound, edited by Clinton Walker, Wild & Woolley, Sydney: photo (The End). 4ZZZ Radio Times, Brisbane: ’The Demise Of The Record Importer’, article. Roadrunner, Adelaide: Brisbane 1980, article, (February). Roadrunner, Adelaide: The Go-Betweens article/interview, (April). Roadrunner, Adelaide: New Race/Sunnyboys/The End, live review, (May). Roadrunner, Adelaide: John Cale, album review, (June). Roadrunner, Adelaide: Pel Mel, live review, (July). Roadrunner, Adelaide: The End, article, (August). Roadrunner, Adelaide: The Cure, live review, (September). Roadrunner, Adelaide: Sunnyboys, album review, (October). Roadrunner, Adelaide: Tom Verlaine, album review, (November). Roadrunner, Adelaide: Brisbane 1981, article, (December). Backstage, Brisbane, issue 1: various contributions, (June). Backstage, Brisbane, issue 2: various contributions, (August). Backstage, Brisbane, issue 3: various contributions, (October). Rolling Stone, Sydney: photo (Johnny Kannis), July 26. Rolling Stone, Sydney: photo (Martin Plaza), August 9.